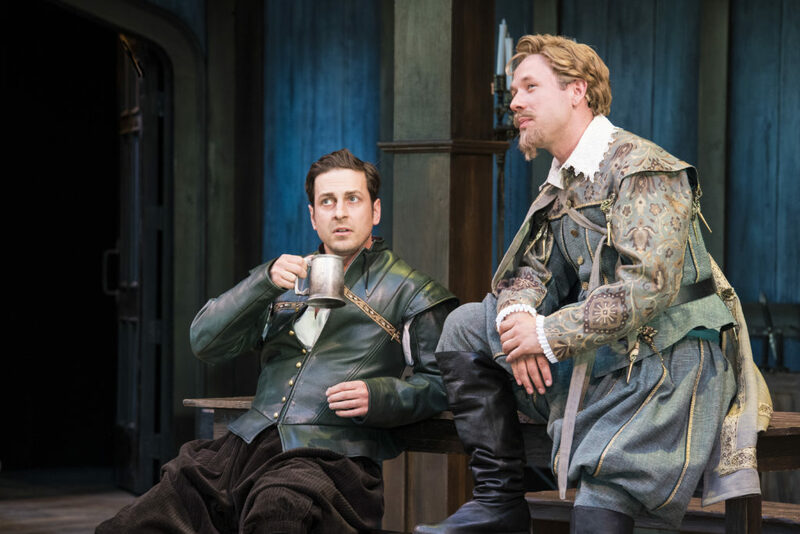 REVIEW — Who knows why it has taken nearly 20 years for the stage adaptation of “Shakespeare in Love” to arrive, but the Utah Shakespeare Festival’s delightful version proves to be worth the wait. The well-known film that won the Oscar for best picture (controversially beating out “Saving Private Ryan”) is followed closely in Lee Hall’s brilliant stage adaptation of Marc Norman and Tom Stoppard’s screenplay. Coupled with director Brian Vaughn’s lively direction, the festival’s version is lighter, funnier and overall more entertaining than the excellent movie. 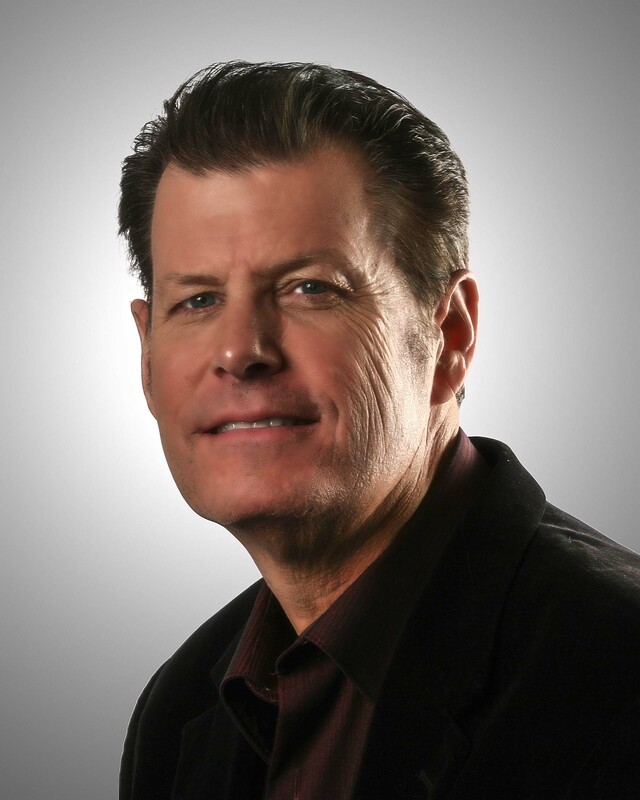 This heightened comic spirit is no doubt aided by the choice of veteran festival actor Quinn Mattfield as the Bard – a self-deprecating, worrisome author, who, when the play opens, is experiencing writer’s block. Mattfield is less the brooding, soulful Shakespeare portrayed by Joseph Fiennes in the film and more the hilariously tortured soul, owning to Mattfield’s superlative comic gifts. With Mattfield on stage you never know how many of his humorous choices are improvisational, but that works perfectly in this part-farce, part-parody, part-romantic drama. 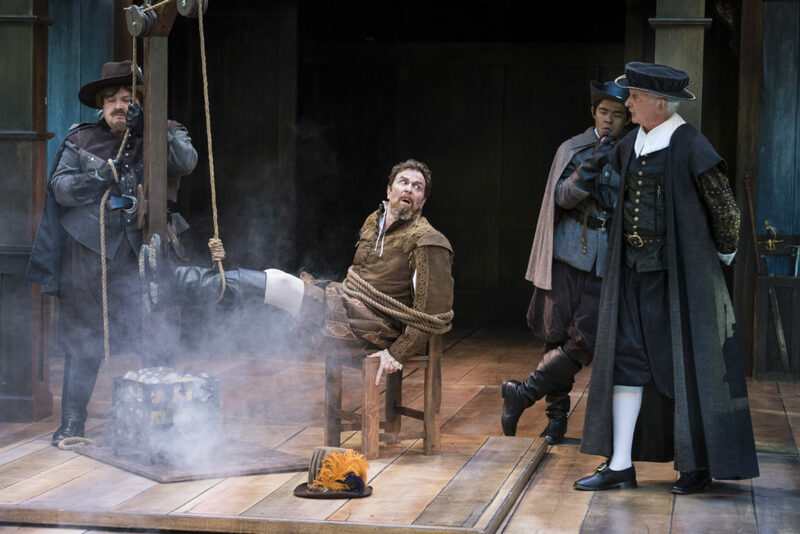 The role of fellow writer, nemesis, and loyal friend Kit Marlowe is beefed up for the stage adaptation, and Shane Kenyon masterfully performs the weightier character with panache. The musical embellishments are subtle but significant, and the costumes are customarily excellent. 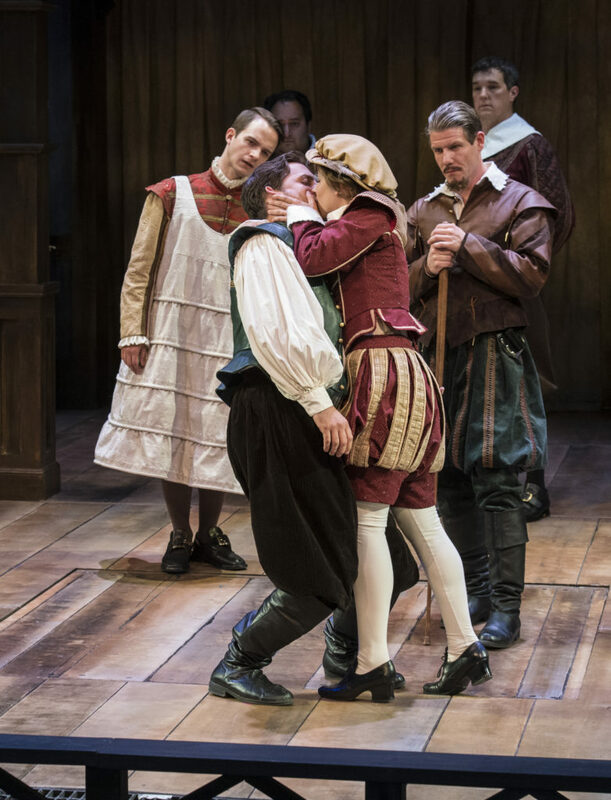 The festival’s “Shakespeare in Love” is a little too long, but it is rarely dull and is a perfectly pleasant primer for those new to Shakespeare’s work. It’s a celebratory affirmation for festival veterans who will relish the hilarious fictional backstory of a legend’s struggle to find his gift while discovering his true love in the process. On this cloudless night at the outdoor Elizabethan-style Engelstad Theater, now in its sophomore year, one can’t imagine a better venue in which to witness this home run homage to the Bard. 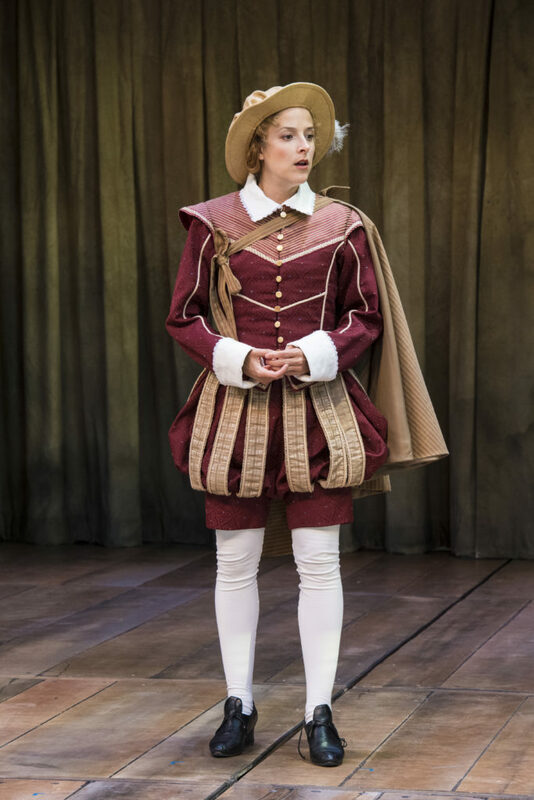 Where: Engelstad Theatre at the Utah Shakespeare Festival, 299 W. Center St., Cedar City. When: Runs through Sept. 8, in revolving repertory with other shows. Tickets: $32 to $77, with discounts for groups, students and seniors; 1-800-752-9849 (PLAYTIX) or www.bard.org.